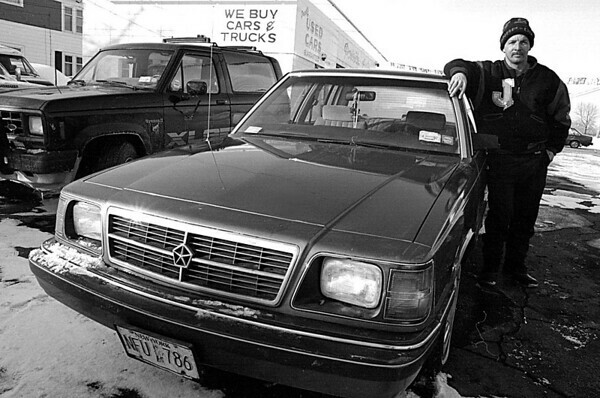 1/14/97--FOUND CAR--CAPPY PHOTO--DAVE SPURBACK OF PARKSIDE MOTORS, HYDE PK. BLVD. STANDS WITH A STOLEN CAR THAT TURNED UP IN THE GARAGES PARKING LOT.